In most countries that celebrate Thanksgiving Day, this holiday is associated with the harvest season. However, Thanksgiving Day in Grenada has nothing to do with celebrating the harvest, even though it has the same name and is celebrated in autumn. Thanksgiving Day in Grenada is celebrated on October 25. It commemorates the anniversary of the US-led invasion of Grenada codenamed Operation Urgent Fury, which began on that day in 1983 and resulted in the restoration of political stability in the country. 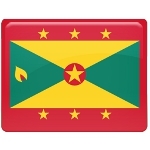 Grenada proclaimed its independence from the UK in 1974. In 1979, Maurice Bishop overthrew the government of Grenada in a coup and established a leftist regime. In 1983, he was deposed and executed by an army firing squad. His deposition led to political instability, which made the United States intervene in order to protect American medical students in Grenada. US invasion of Grenada began on October 25, 1983. It resulted in the restoration of former government. The anniversary of the invasion was designated as Thanksgiving Day. Grenada's Thanksgiving Day is a public holiday, so all government offices, educational establishments, banks, and most businesses are closed. The holiday is celebrated throughout the country with ceremonies and church services. Most people spend the day with their family and friends.